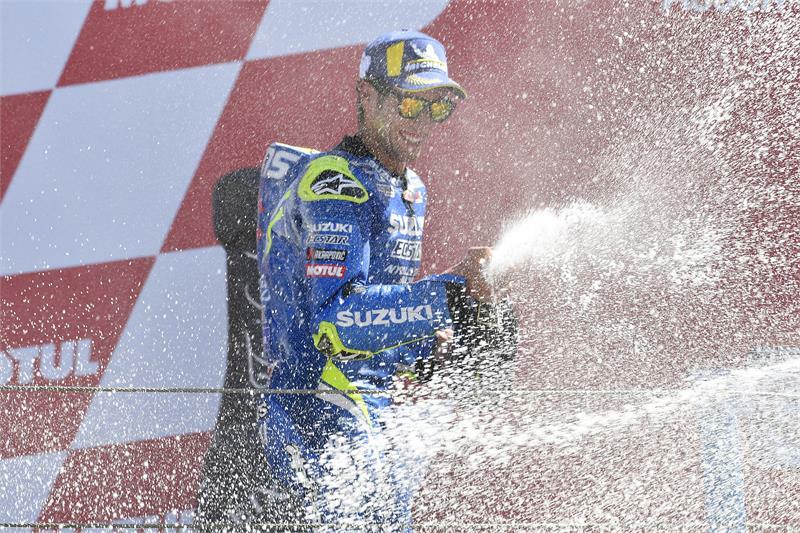 • A best-ever result in MotoGP for Alex Rins. • Andrea Iannone stays on the cusp of the lead group. • Team SUZUKI ECSTAR take 4th podium in 8 races. The ‘Cathedral of Speed’ was fast furious throughout the weekend, and Sunday’s race was no exception. Assen Circuit stayed dry and the pace was hot from the get go. Alex Rins, from the second row, was able to get a good start and Andrea Iannone soon joined him, also making good progress from his 9th slot start. The pair began to mix it in the leading group, and as the frantic and combattive race got closer with each lap, Alex Rins used his good feeling and form at Turn 5 to great effect; passing several riders there and constantly placing himself in podium contention. The young Spaniard executed a brave move on Marquez for 2nd place with 15 laps to go, proving his desire to bring his GSX-RR back to the podium. In the final laps he pushed hard once again and completed a great pass on Viñales before the final chicane, fighting all the way to the flag for his second podium of 2018. Meanwhile, Andrea Iannone managed to keep himself in the Top 10 throughout the race, despite struggling with rear grip and movement, but a 2-second penalty for over-running turns 15-18 demoted him to 11th place.